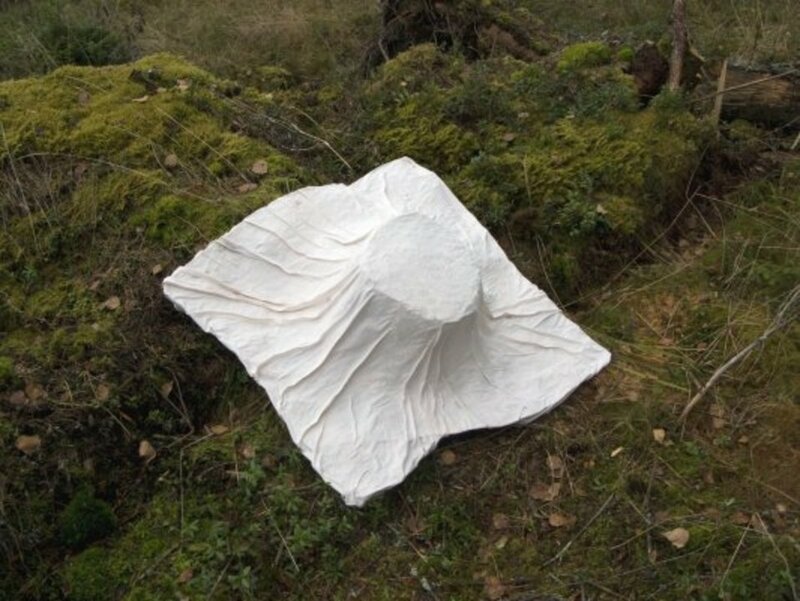 Albedo shields and suits are designed to increase the sunlight reflectivity, albedo value in the forests this way cooling the climate and mitigating the climate change. 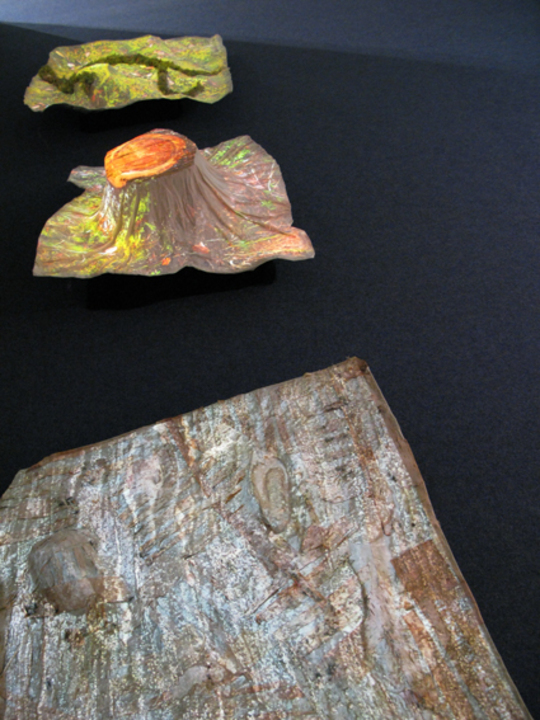 The work plays with the notion of geoengineering and forest management as a geoengineering project. Geoengineering = deliberate large-scale intervention in the Earth’s climate system, in order to moderate global warming. Many forest owners are planting birch as it grows fast and gives income fast. Birch forests are considered to have a good albedo value. But is there something else that could be done without interfering the actual tree species? Albedo shields are for different locations in forests. They are geotagged and carefully designed to fit perfectly in their place. Preferably the shields could be used outside growing season and when there's no snow. Natural materials are used to blend the shield better to its' surroundings. For demonstrating purposes, the image of the actual location is projected on the shield. One shield is 1m² in size and it should then add 2W of “lightness”. Albedo suits are for humans and animals. 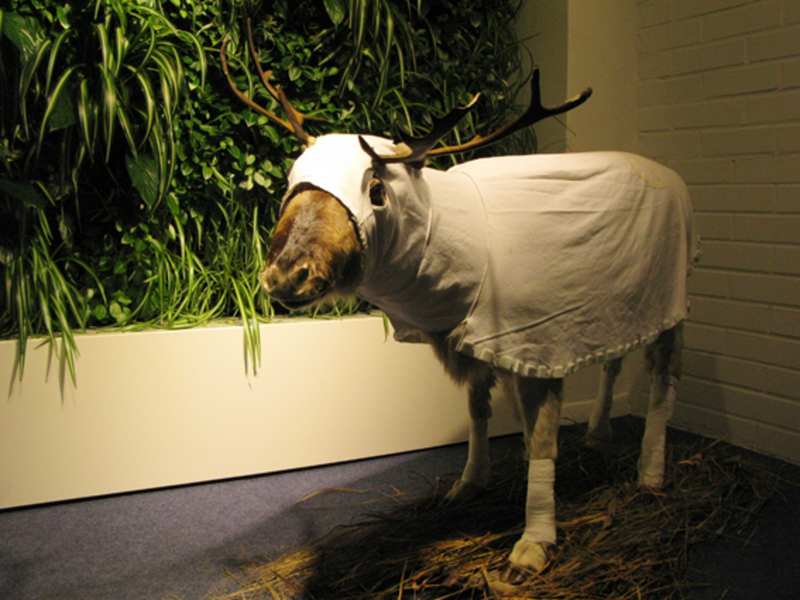 The suit prototypes are for a logger and a semi-domestic forest animal reindeer. Generally, the suits could be designed to all animals: wild and those living with human beings. 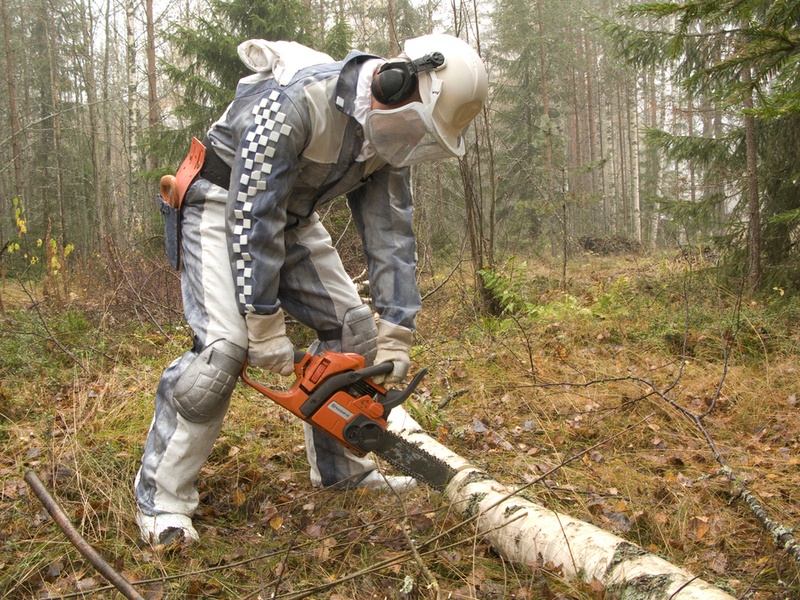 The idea of logger's albedo suit could be extended to forestry vehicles like for example forwarders. Thank you to all the researchers in HENVI Forest group with whom I've had a pleasure to have the most interesting discussions. Special thanks goes to Frank Berninger, Martin Welp, Kari Minkkinen and Nea Kuusinen. Thank you to Erich Berger for significant technical help. Mari Keski-Korsu (mkk) is an interdisciplinary artist. She explores environmental and socio-economic changes in people's everyday life. Her works have a societal nature, but still often have a humorous twist. The basis of the work is in location, a place and people's relations to it. She started her artistic career with photography but then moved to working with internet live streaming in the 1990'. This lead her to work with live video visualisations as well as net and video art, documentary, installations and location based art. The works have been exhibited in Europe and in several other countries around the world. She holds a MA from University of Arts and Design Helsinki (Medialab) and BA in visual arts from Polytechnic of Western Lapland. Photos at http://www.flickr.com/artsufartsu, see also Art&HENVI set.